Do you ever read scripture and think: “Really? !” “Really? !” was my first reaction when I read this text. I thought, whoever wrote this first line of this passage must be the type of guy who writes greeting cards and inspirational posters filled with empty platitudes. No way could any group unequivocally say that they are of “one heart and soul.” Even one of the commentaries I read this week said, “there is little doubt that our author paints a rather idyllic scene.” Indeed! But then my second thought was jealousy. I’d love to live in a society that was that incredibly united and without any needs. 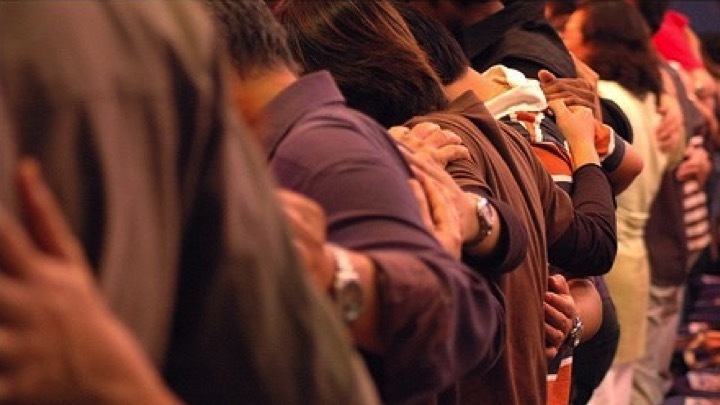 A culture where “great grace [is] upon [us] all.” Could it be, might it be possible? This reminds me of a sermon on the feeding of the 5,000 that I heard by Nadia Bolz-Weber, Pastor of “House for All Sinners and Saints,” a Lutheran church in Denver, CO. She speaks about the possibilities of what happened at that tremendous miracle, and the disciples’ perceived inadequacies. 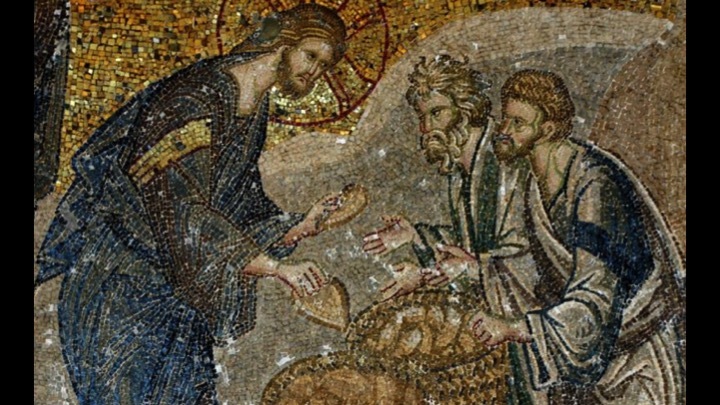 And with that offering, that meager offering, which they thought was “nothing,” a whole crowd was fed. For me that has been a tremendously profound thought. It also takes a lot of pressure off, refocusing what my life and ministry are about, not about being all things for all people, but pointing to our God who is, and our community, which can manifest God’s goodness for each of us. By recognizing that we on our own are not enough, and allowing God to work through the places where we are lacking, we open ourselves to receiving grace. When we try to do it all on our own, we are operating as functional atheists, ones who see no need for God’s presence and providence in our lives. 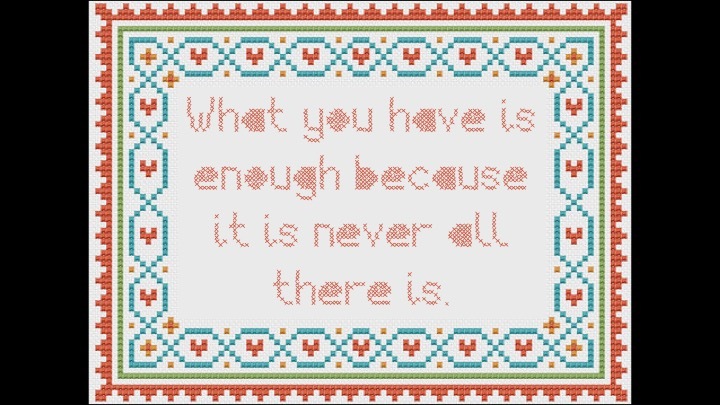 When we acknowledge that we are not self-sufficient, but still are willing to bring who we are and what we have, offering our lives as contributions to the work of God’s kingdom, all together we have more than enough. 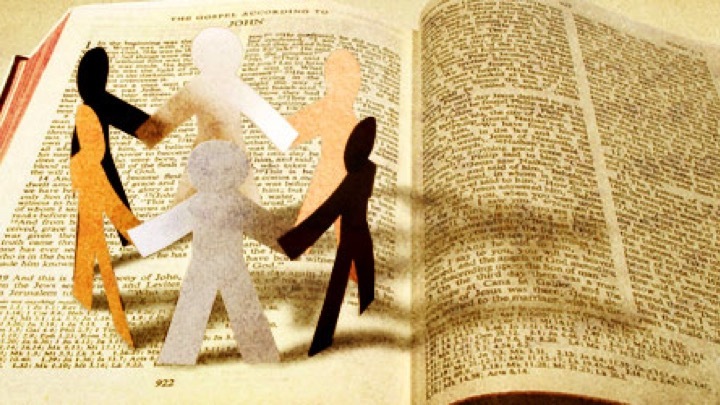 It is important to notice that our scripture says that the believers were all of one heart and soul… not that they were all of one mind or body. The believers in Acts experienced abundance not because they were all the same in their thoughts, physical appearance, and background, but because they were different. Through their individual experiences and gifts, they were able to contribute to a more complete community. Each bringing who they are and what they have, none of them experienced need. 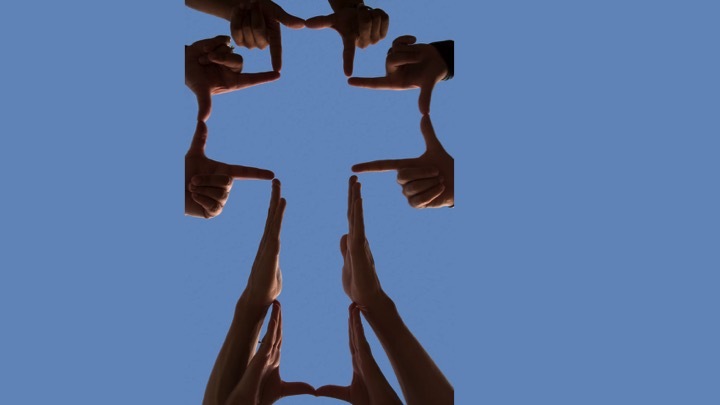 I would argue that one of the joys I’ve found in Christian community is that the less we have in common in body and mind, the more closely we rely on our common faith in Christ to be what unites us. Some of my most profound moments in ministry have been leading worship among a room of people with dementia, exploring what it is to be God’s beloved child with our X-team kids, or joining together with strangers from around the country to serve God in mission at workcamps during my high school summers. Those experiences are impactful because of our commonality found in Christ. 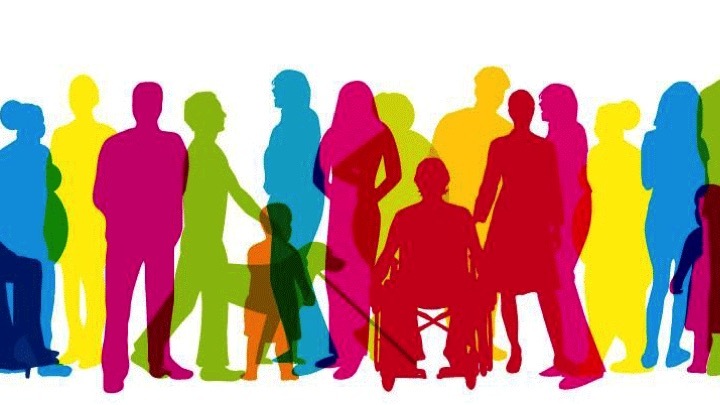 If we decide to spend all of our time together because we’re all the same age, ethnicity, or gender, or because we like that same movies, music, and sports teams, our unification is not one of any depth or substance. 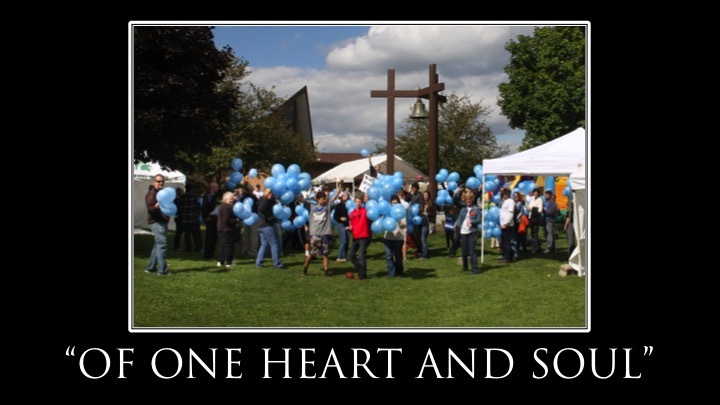 But if we come together for worship and service to our God, because of our love of God and our belief in our resurrected Christ, we are indeed of one heart and soul, and privy to God’s abundance in our community and lives. The uniqueness of that community in Acts, is that they understood that. They understood that on their own there was still need; by their own merits there was still sin. The reason they were united wasn’t some common pact to live in harmony or because they liked all the same things. It was because they knew and believed utterly that Jesus was lived and died so that they may have new life, and that they might know a way forward into God’s grace. In our passage today we read, “with great power the apostles gave their testimony to the resurrection of the Lord Jesus, and great grace was upon them all.” That great grace was not upon them because of their own merits, but because of the deference that showed to God, the way that they used their lives to point to the resurrection of Jesus Christ. This is what united them and gave them purpose as they were forming the new church follow Christ’s death and resurrection. 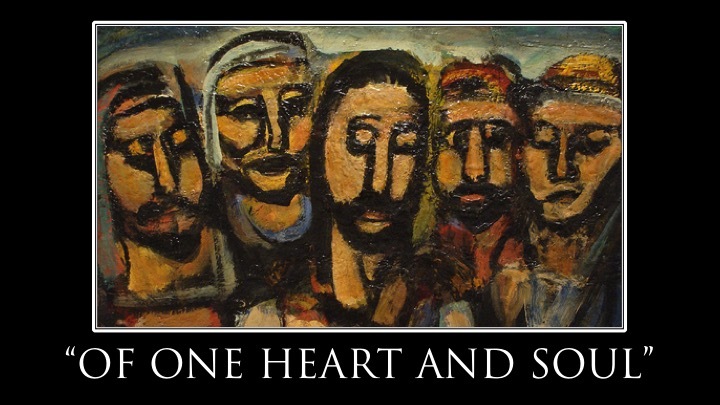 Might our community be “of one heart and soul”? As idyllic as it sounds, and as incredible as it may be to believe, this unity is possibly through our common belief in our resurrected Christ. May it be so. Amen. David L. and Taylor, Barbara Brown Bartlett, Feasting On the Word: Year B, Volume 2, Lent through Eastertide: Preaching the Revised Common Lectionary (Feasting On the Word: Year b Volume) Louisville, KY: Westminster John Knox Press, 2011), 382. 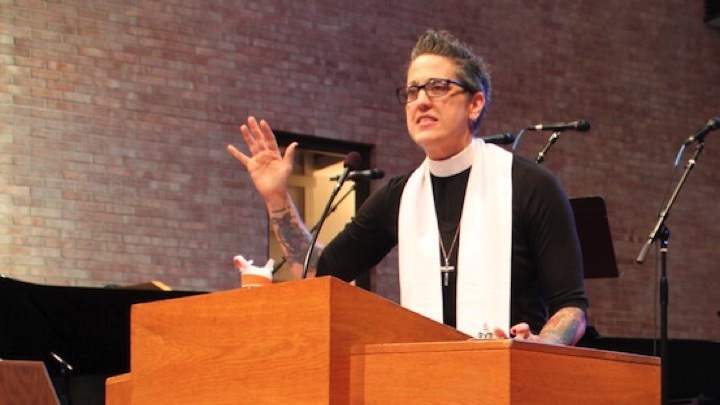 Nadia Bolz-Weber “Sermon On Lembas Bread, the Feeding of the 5,000 and Why I Hated Pastoral Care Classes,” http://www.patheos.com/blogs/nadiabolzweber/, August 6, 2014, accessed April 9, 2015, http://www.patheos.com/blogs/nadiabolzweber/2014/08/sermon-on-lembas-bread-the-feeding-of-the-5000-and-why-i-hated-pastoral-care-classes/. 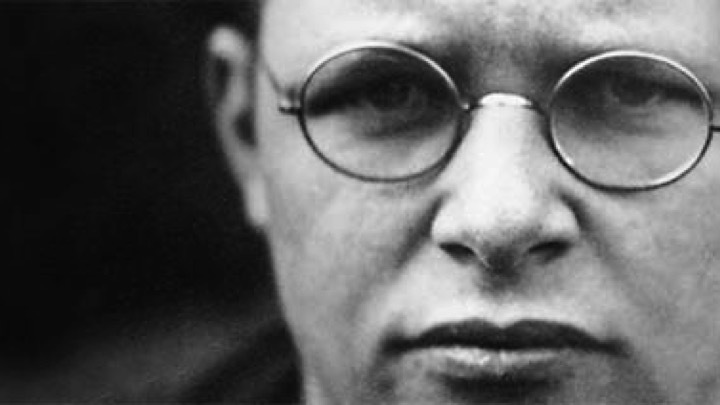 Dietrich Bonhoeffer, Life Together, trans. John W. Doberstein (San Francisco: HarperSanFrancisco, ©1954). This entry was posted in First Presbyterian Church of Holt, Sermonizing and tagged Acts, community, depth, Dietrich Bonheoffer, discipels, diversity, enough, Feeding of the 5000, God, God's Kingdom, grace, heart and soul, idyllic, jealous, Jesus, Nadia Bolz-Weber, nothing, Of one heart and soul, offering, platitudes, providence, resurrection, unity, without need, work. Bookmark the permalink.